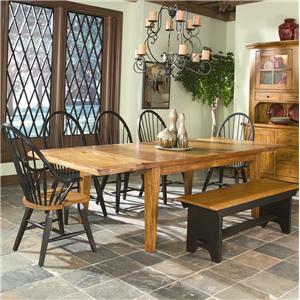 Enjoy the beauty of handcrafted design and natural woods, with this elegant pedestal dining table. 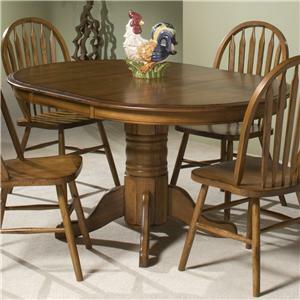 Featuring a detailed, carved pedestal that supports a solid Oak top. The table also features two drop leaves that allow the table to easily extend for additional guests. 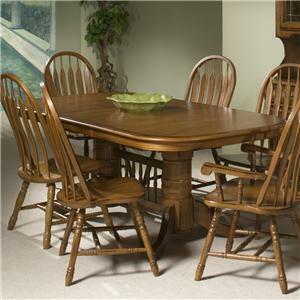 The Classic Oak 42" Pedestal Table with Drop Leaves by Intercon at Dinette Depot in the Brookfield, Danbury, Newington, Hartford, Connecticut area. Product availability may vary. Contact us for the most current availability on this product. Leaves Two 7" drop leaves extend table to 42" circle.